Guest Exhibit Photos Provided By: Andre Heiberg, Kleinmond South Africa. 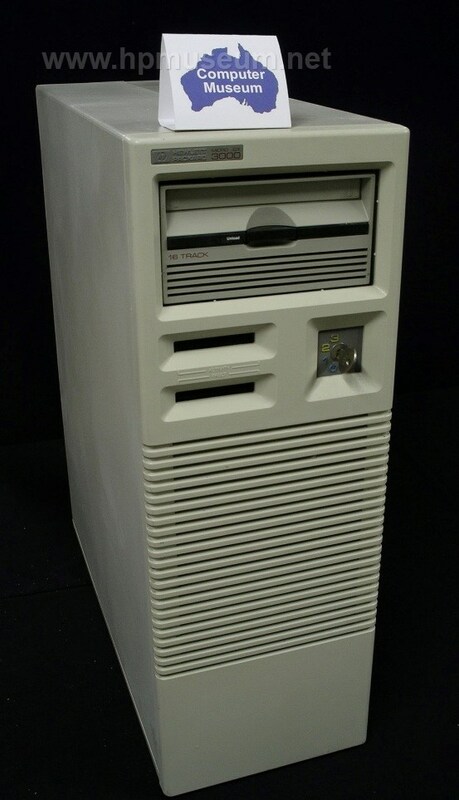 The 3000 Micro LX/GX was the deskside tower version of the 3000 Micro computer. The Micro LX was positioned below the Micro XE. It included a built-in, quarter-inch tape drive (67 MB, 9144A). It also came standard with 2 MB of RAM (upgradable to 4 MB by swapping the CPU board) and a single internal disc drive (of up to 304 MB). The Micro LX could support eight point-to-point terminals. 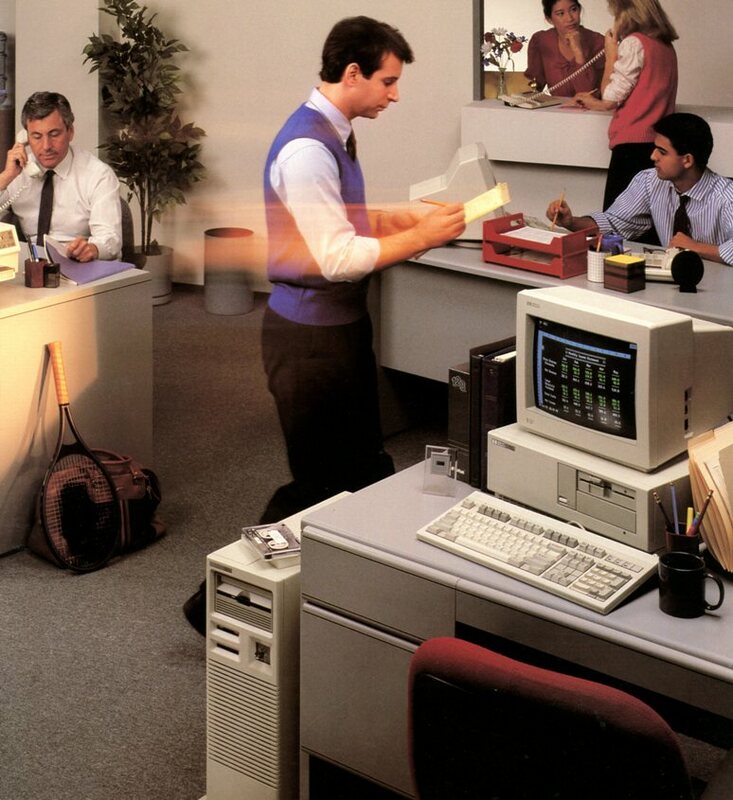 These computers were the first small 3000s made by HP where all system components (processor, disc and tape drives) were housed within a single deskside cabinet. The Micro GX could support up to 16 users and up to 608 MB of internal disc storage (2 GB total disc storage). The Micro RX (p/n 32543A, $17,950) replaced the Micro GX in 1989 and could support up to 24 point-to-point terminals. A bootable disc image of the latest software for these computers can be found here. The Micro 3000 LX/GX/RX use the same internal discs that are found within the 7963 disk drive cabinets. The disc mounting sleds of the 7963 can also be easily modified to fit within the 3000 Micro. Removing the top centimeter or so of the mounting sled (with an angle grinder) will allow it to fit snugly within the computer. Of the two units we have at the museum, one has a faulty power supply.